Mother’s Day is coming, and that means plenty of cards and gifts are about to hit the shelves and then homes. 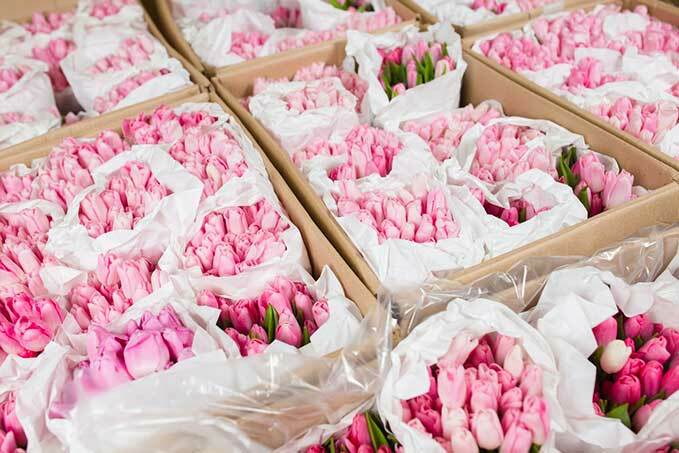 The refrigerated freight industry plays a big role in bringing Mother’s Day to America’s moms. Almost 70 percent of Americans will send Mom flowers for the big day. There are also steak subscriptions, fruit baskets and lobster grams to consider. All of these items are perishable, and that means a refrigerated truck has a hand in getting Mother’s Day shipments from the warehouse or wholesaler to your Mother’s door. A good refrigerated trucking company is key for these Mother’s Day shipments. There are important health and safety details to be considered when transporting foods and perishables. It’s important for fleets to stay up-to-date on the most current regulations mandated by the FDA when it comes to food safety and transportation. Clients’ reputations are on the line when it comes to freshly cut flowers and potted plants. Flowers are an expensive, delicate commodity. They need to arrive in good condition if clients are going to book more orders. And ultimately, it affects the fleet’s reputation, too. It’s important to choose a company that handles the cargo as if it were their own. A good refrigerated trucking company pays attention to detail. At ABCO, we strive to be the best. There are several examples of how we enact this philosophy. We offer individualized service for each client. We know that each business has different objectives and needs. We don’t try to shoehorn you in to our guidelines. Instead, we observe and listen to your needs. We even research your commodity so we know we’re transporting it properly. We pay attention to variables like airflow in the trailer. We monitor temperatures in the trailer and drive safely to protect your cargo. We handle both refrigerated and frozen goods. At ABCO, we work with urgency and professionalism. We take pride in our work, and we understand that our clients need to get their shipments on time if they are going to provide the best service for their end users. Finally, we know that without customers we wouldn’t have paychecks. We love to build good long-term relationships with our clients, because we feel it’s a win-win for everyone involved. Whether you need help with Mother’s Day shipments or more standard transport, we hope you’ll contact us today. We are the best in the business at handling temperature sensitive freight!